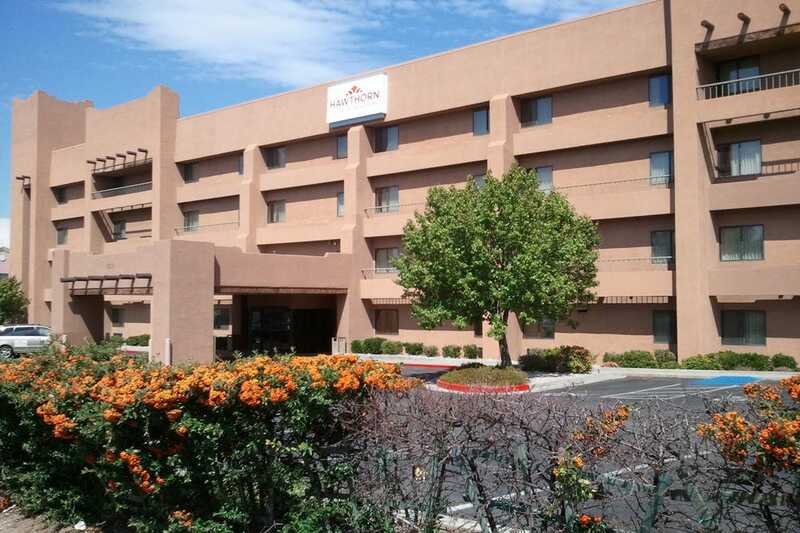 There are many Albuquerque hotels within close proximity to the Sunport Airport, such as the Hyatt Place or Homewood Suites by Hilton, all providing quick and easy shuttle service. Whether coming to the Land of Enchantment for business or pleasure, there are many hotel options for the family traveling with children or the business traveler, with amenities to suit both. Visitors will be glad to know the prices of the airport hotels in Albuquerque are quite reasonable to fit most budgets. The hotels near the Albuquerque International Sunport have the added advantage of being close to all the university sport stadiums, along with the Isotopes baseball stadium and the University of New Mexico campus itself. Downtown and the historic Old Town is a short cab ride away, as is the ABQ BioPark and the Museum of Art and Natural History Museum. The airport is also close to the Sandia National Labs and Kirtland Airforce Base. Championship golf courses are nearby and breathtaking views of the Sandia Mountains can be seen, espeicially from the higher floors, such as at the Sheraton Albuquerque Airport or the Hilton Garden Inn. When staying in Albuquerque, it's always a tough decision whether to get an east-facing room with a mountain view, or a west-facing room with a view of the Rio Grande valley, the extinct volcanos and the gorgeous New Mexico sunsets. The following list will help guide you through some of the best airport hotel options, complete with views and much more. At the La Quinta Inn Albuquerque Airport, you'll find newly renovated rooms, with new flat screen tvs with an Easy Access Plug-and-Play feature, which will make easier connecting for the gamers. A stone's throw to the terminal, the La Quinta is very close to the airport, providing shuttle service to and from. The hotel has 3 floors, with several suites available. The hotel has a large outdoor swimming pool, a fitness center and guest laundry facilities. Pets are welcome with no extra fee. There are several restaurants within walking distance, such as Applebee's, IHOP and Fuddrucker's. A free Bright Side Breakfast comes with your stay. Children 17 and under stay free at the Days Inn and Suites Airport Albuquerque. A non-smoking hotel, each room comes with free wi-fi, refrigerator and microwave. Receiving four star reviews, the Days Inn supports New Mexico's environment, giving guests an eco friendly shopping bag upon arrival, filled with coupons and other goodies. This 100% smoke free hotel has a gym, indoor pool, a complimentary hot breakfast and free wifi in all the rooms, which include cable tv and desks with ergonomic chairs. The Days Inn is just minutes from the University area and other great attractions in the downtown, Old Town and Nob Hill area. Walk into a high-ceilinged spacious lobby at the Holiday Inn Hotel and Suites at the Albuquerque Airport and you'll want to plop down in one of the many comfy chairs there. After a long day of travel, you'll enjoy a drink at the Vertigo Lounge (dinner menu is available). Dine at the Sunport Grille for breakfast and dinner (kids eat free). The Starbucks espresso Bar provides drinks and snacks for when you're on the run. Copying, fax and a PC are available in the Business Center. Unwind in the heated indoor pool, sauna and whirlpool. A fitness center is available. There are on-site laundry facilities and same day drycleaning services available when you're in a pinch. 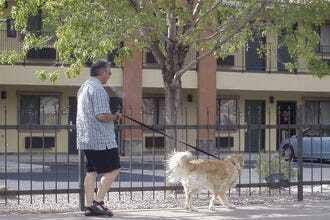 The Hawthorn Suites by Wyndham near the Albuquerque Airport offers complimentary shuttle service 7 AM to 11 PM. Business travelers, take advantage of the free fax, copying and printing service. The friendly staff at the Hawthorn can assist with local touring or event catering and also offer translation services. On site you'll find an outdoor pool, fitness center, laundry and gift shop. Pets are accepted for a $25 daily fee. Roll-away beds are also available for $25. Rooms do have microwaves, refrigerators and premium bedding. 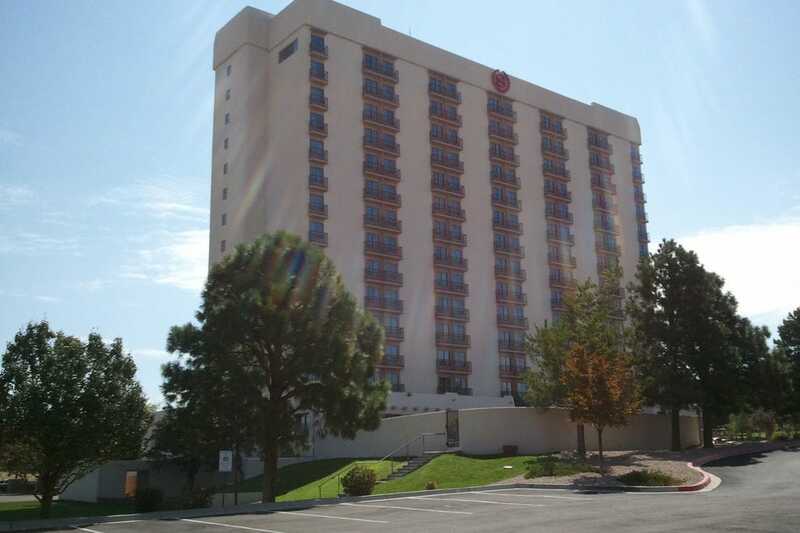 The Hawthorn offers special room rates during local Albuquerque events such as the International Balloon Fiesta or the State Fair. 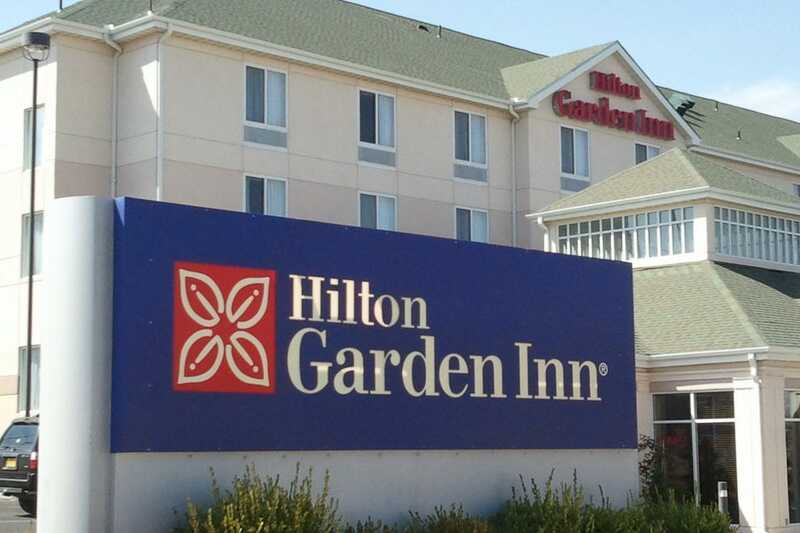 Awarded the 2012 TripAdvisor Certificate of Exellence Award for achieving outstanding traveler reviews, the Hilton Garden Inn is a great choice with a prime location, just a minute from the terminal. 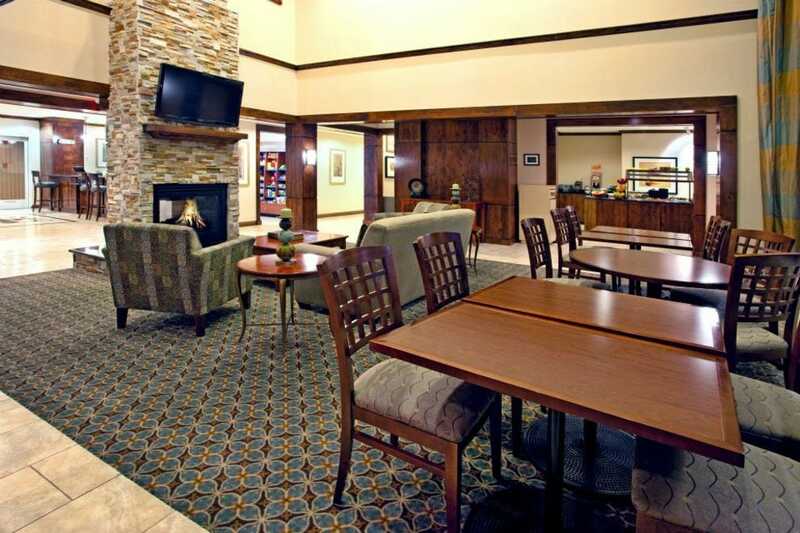 Providing rooms and suites with combined or separate living rooms, this hotel is both upscale and consumer friendly. There is an on-site convenience store, a coin laundry and cribs and high chairs available for families. Business travelers will appreciate the multi-linqual staff, express mail and secretarial service available. There is a fitness room and heated indoor pool and spa. The Great American Grill restaurant offers meals all day, along with room service and you can relax with a drink in the Pavilion Lounge. The Staybridge Suites at the Albuquerque Airport is an upscale all-suites hotel, featuring the usual amenities plus some nice extras. Families will like the outdoor pool (complete with barbeque grills), recreation and sports court or the home theatre for entertainment purposes. There is video rental available and rooms have dvd players and in room movies. There is a nearby golf course or enjoy the on site putting green at the hotel. The fitness center is open 24 hours. 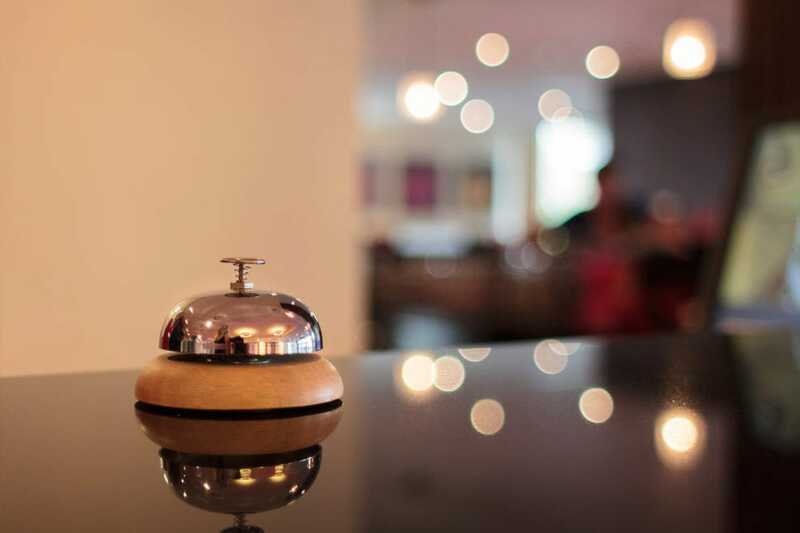 The business traveler will certainly appreciate all that is available, including courier service and a technical concierge. The Staybridge Suites has an on site laundry facility or they also offer dry cleaning pickup and laundry services. Rooms include a kitchen stocked with all your needs. Complimentary hot breakfast is served, and at the end of the day, enjoy the Sundowner Reception Tuesday through Thursday in the early evening, providing drinks and snacks. 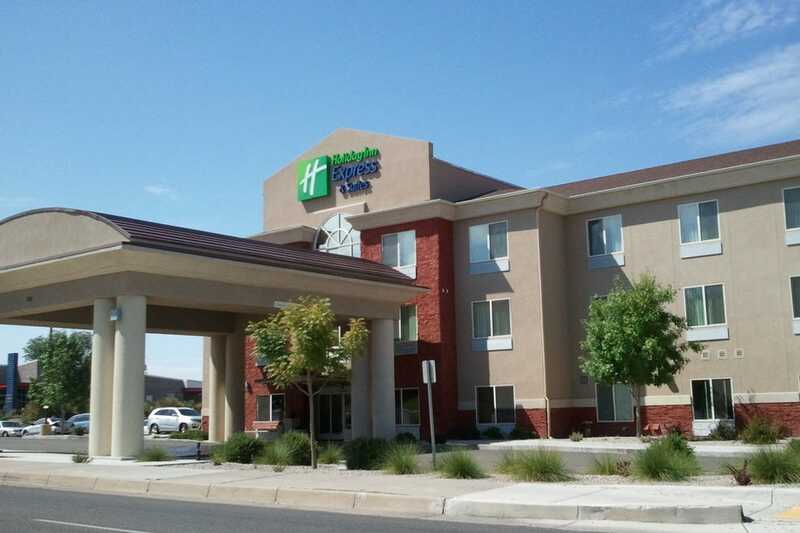 Homewood Suites by Hilton Albuquerque Airport is an all-suite hotel, offering studio, one and two bedroom units. Families will enjoy settling in to this home away from home, as each unit has a full sized refrigerator and hardwood floors in the kitchen with elegant granite countertops, microwave and stove. Homewood will even get your groceries for you. A hot full breakfast is available each morning and if you forgot your toothbrush, a 24-hour onsite convenience store is available. The hotel has a heated pool and whirlpool and even tennis courts for your daily pleasure. At the end of the day, enjoy a Welcome Home reception, which includes a complimentary light meal and beverages Monday through Thursday. Restaurants are nearby. Use your Marriott Rewards points to stay at the conveniently located Fairfield Inn and Suites by Marriott. Close to both the airport and also the athletic sports stadiums, the Fairfield provides easy access to all. 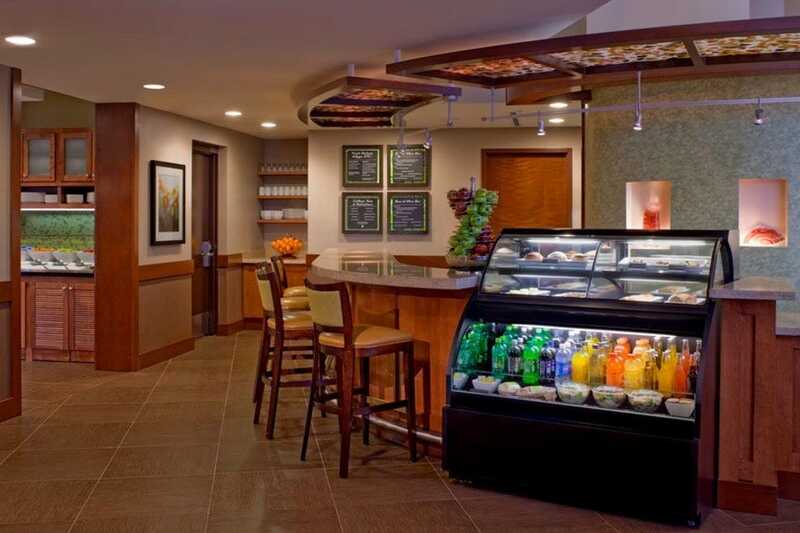 A complimentary hot breakfast includes Jimmy Dean breakfast sandwiches, fresh fruit and make-your-own Belgian waffles. For other meals, if you don't feel like walking to the adjacent Applebee's restaurant, dinner delivery is available. The rooms at the Fairfield have a colorful, contemporary vibe to them and offer free cable tv with HBO. After a workout in the fitness center, lounge around the outdoor heated pool or take advantage of the whirlpool. At the Hyatt Place Albuquerque Airport, complimentary seems to be the key word for making your stay easier and more enjoyable. Complimentary wifi, breakfast, newspaper, parking, in room safes and fitness center are just some of the items accessible. Pets are allowed. Dining options are available 24/7 from either the new Gallery Menu, featuring the Hyatt Place's signature flatbreads plus regular apps and meals or fresh sandwiches or salads from the Grab 'n Go Case in the lobby. From 12PM to 11PM, you can order beer or wine at the Bakery Cafe, where you will also find Starbucks Coffee. The Hyatt Place will also customize a menu for your business meeting. 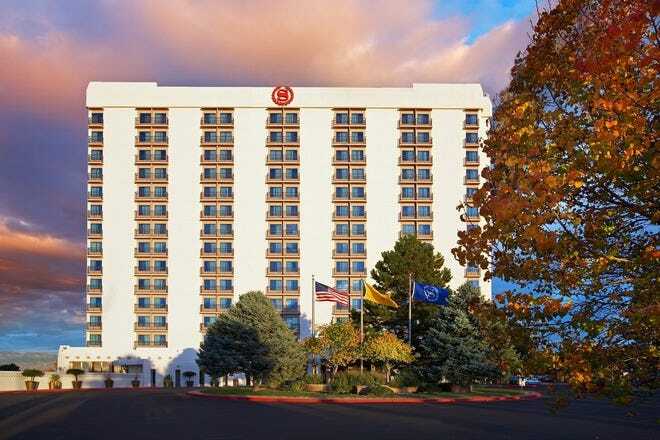 The Sheraton Albuquerque Airport Hotel is proud to announce its $14 million transformation. In this high rise building, it would be hard to choose whether to get an east facing mountain view room or one to the west, where you can catch the beautiful New Mexico sunsets. Only 200 yards from the actual airport, it is the most convenient hotel as far as location. Amenities include high speed internet, an outdoor pool, a fitness center and 24 hour complimentary shuttle. Most handy is the Link@Sheraton, where you can check flight status and even print out your boarding pass for your flight. On the 15th floor of the Sheraton, you can reserve a Club Room, with upscale amenities, including the Club Lounge, and copier/fax/printer and complimentary office supplies for the business traveler.